Naturaquell ® – Follows the concept "health first"
As one of the first companies in Germany, Naturaquell® (formerly GWG) committed itself to provide you with healthy, natural water, which is completely beneficial for your body. As our customer you profit twofold from this: on the one hand, from the efficient and reliable filter systems for domestic drinking water purification in which the most recent medical, naturopathic and technological knowledge have been united; on the other hand, from our excellent, fast and competent service. 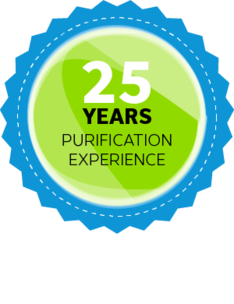 Take advantage of more than 25 years of experience and competence of naturaquell® Friesenheim and get immediate access to natural, healthy water, purified by a premium class filter system, at any time. naturaquell® – stands for top quality water purification; for innovative research and development; for experience and competence in the production of water filters; for filter systems in accordance with state-of-the-art standards. And last but not least: for a comprehensive service that fits your needs. 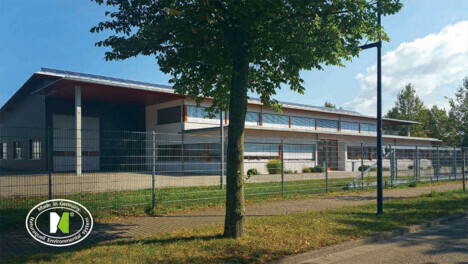 As our customer, you profit from high-quality materials, which meet the high requirements of water purification; from fast, economic access to water that you can consume at any time without hesitation; from a competent and friendly service/consulting team, which is pleased to be at your disposal at any time subsequent to your purchase. Everywhere where quality, reliability and long service life play a major role, valuable synergies have developed in more than 25 years of our business enterprises. For example, naturaquell® products have been recommended for many years by doctors and naturopathic practices. In addition, sales partners from the fields of health and nutritional counseling know the value of the quality and competence naturaquell® represents and gladly share their experience. With our newest product; naturaquell® COMFORT, the needs of new markets, such as kitchen studios and heating, plumbing and air conditioning stores, are now met. The increasing pollution of our drinking water and the search for an adequate problem solution for it has also reached households. Consequently, one can assume that in the future — similar to refrigerators and kitchen ranges — drinking water purification units will become standard kitchen equipment. With its new, state-of-the art, undercounter unit, naturaquell® COMFORT, naturaquell® is once again at the forefront in this regard and, similar to the situation 25 years ago, is performing trend-setting pioneer work.